Just when you thought the community had nothing left for PlayStation All-Stars Battle Royale. Peep inside to see the latest Emmett Graves lab effort. 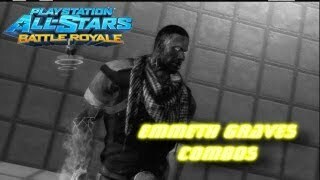 HypernovaGN posted a new Emmett Graves combo video for PlayStation All-Stars Battle Royale. Stick all the way until the end for a funny conversation with Graves and Dante that ends in pain.